Heavenly Father, you are the way, the truth, and the light. It is by your sacrifice that we are made whole in spirit. Let us never forget the significance of the cross. Amen. What does the cross mean to you? Many people in the world today view it as a symbol of Christianity, but stop and think about what it represented in Christ's day. Nobody wore a miniature cross around the neck or displayed one in a place of worship. The cross was a torturous means of execution, and the mere thought of it was repulsive. Yet believers throughout the ages have chosen this as the sign of their faith. In fact, to remove the cross from our teaching and theology would leave nothing but an empty, powerless religion. The subjects of death, blood, and sacrifice have become unpopular in many churches because they're unpleasant and uncomfortable topics. We'd prefer to hear about the love of God, not the suffering of Jesus. But let me ask you this: How could anyone be saved if Christ had not been crucified? Some people think all you have to do to receive God's forgiveness is ask Him for it. But a sinner's request can never be the basis for His forgiveness. He would cease to be holy and just if no penalty was imposed for sin. According to Scripture, there can be no forgiveness without the shedding of blood (Heb. 9:22). Christ had to bear the punishment for our sin in order for God to grant us forgiveness. Every time you see a cross, remember what it really was--an instrument of execution. Then thank Jesus that He was willing to be crucified so the Father could forgive you of sin. 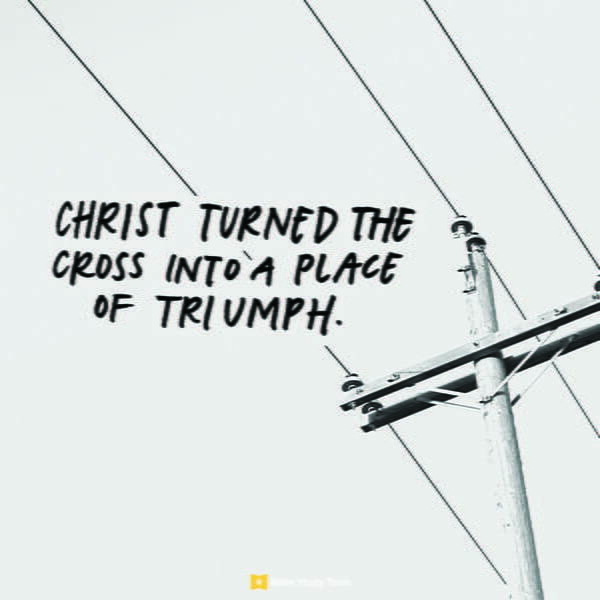 Though the scene of your redemption was horrendous, Christ turned the cross into a place of great triumph. Editor’s Note: The following is adapted from The Necessity of the Cross by Dr. Charles Stanley. To read the original article, follow this link.